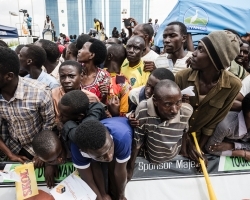 talking about cattle or sugarcane. 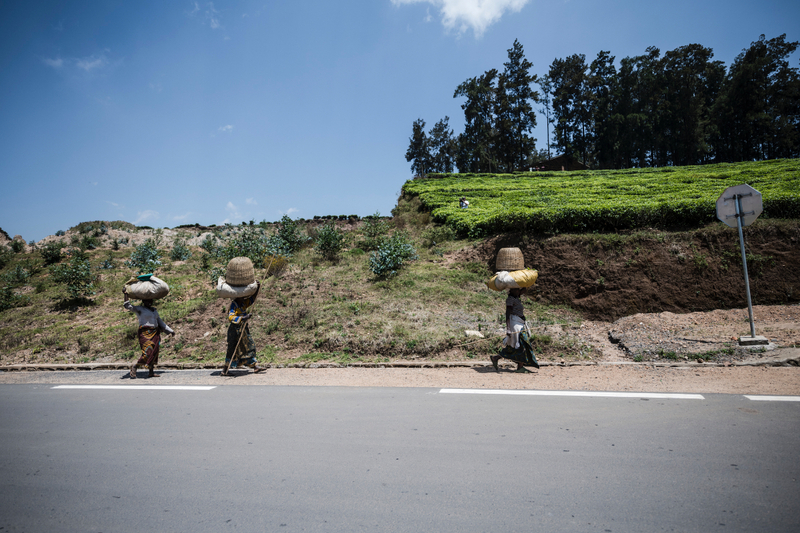 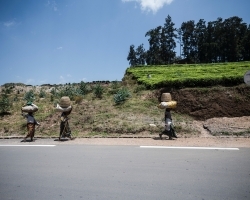 Agriculture is an issue in Rwanda. 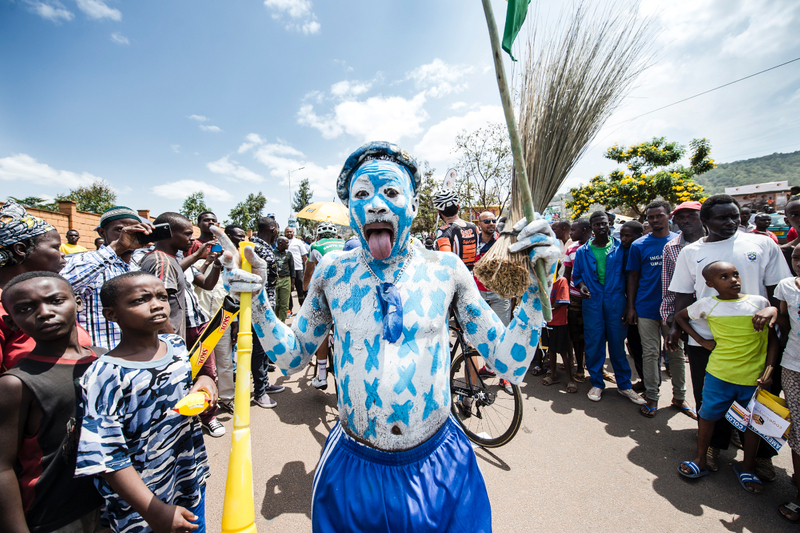 from 11 nations. 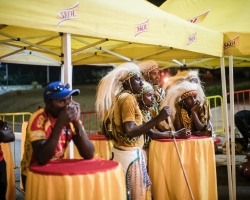 Three of the teams were from the land of the thousand hills. 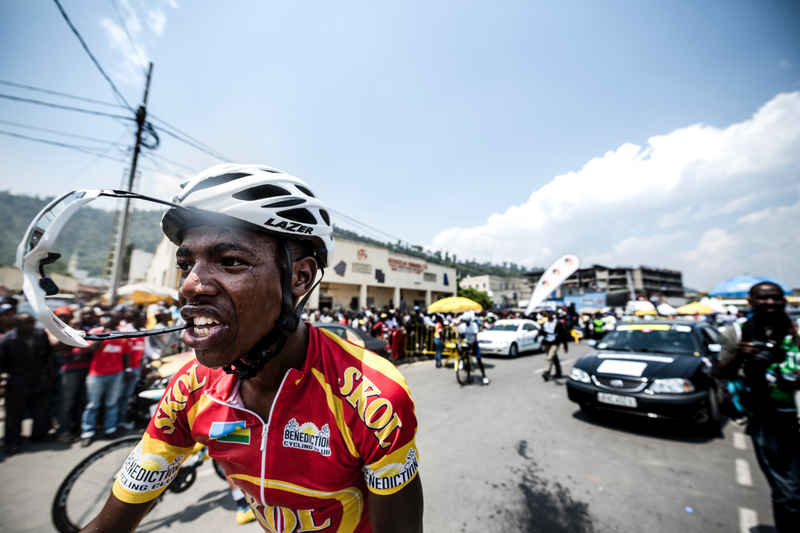 day two, the youngster pulls on the yellow jersey. 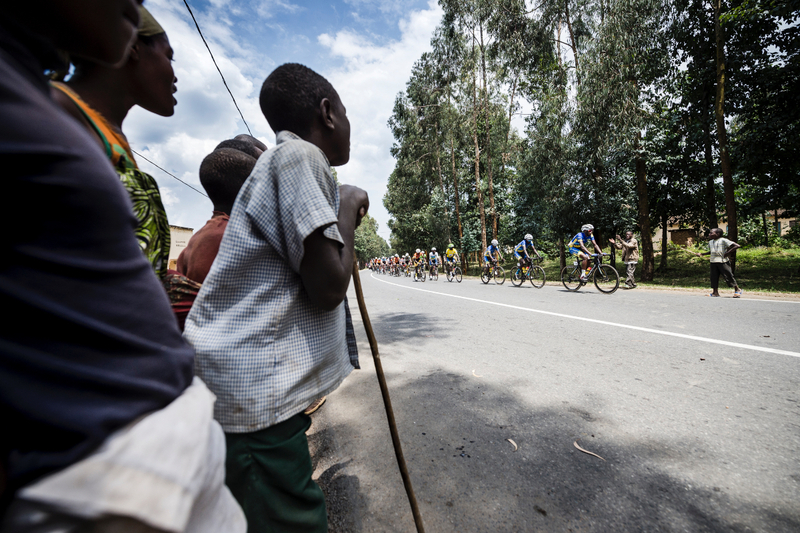 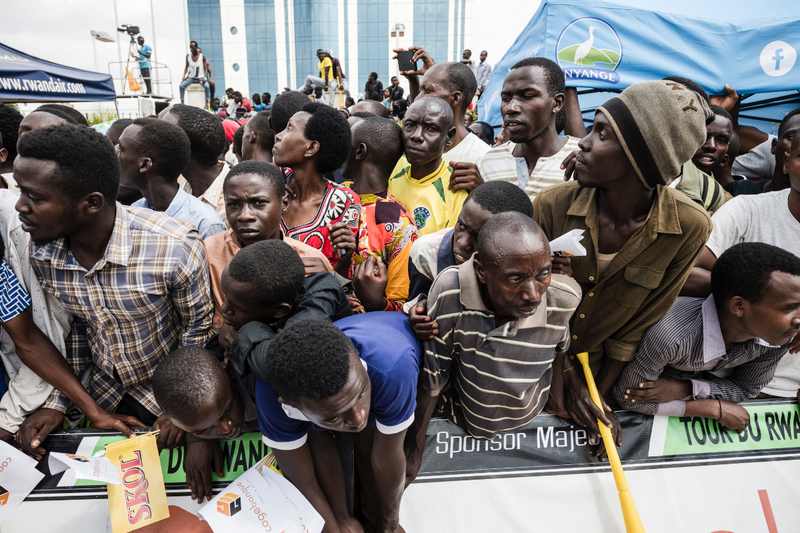 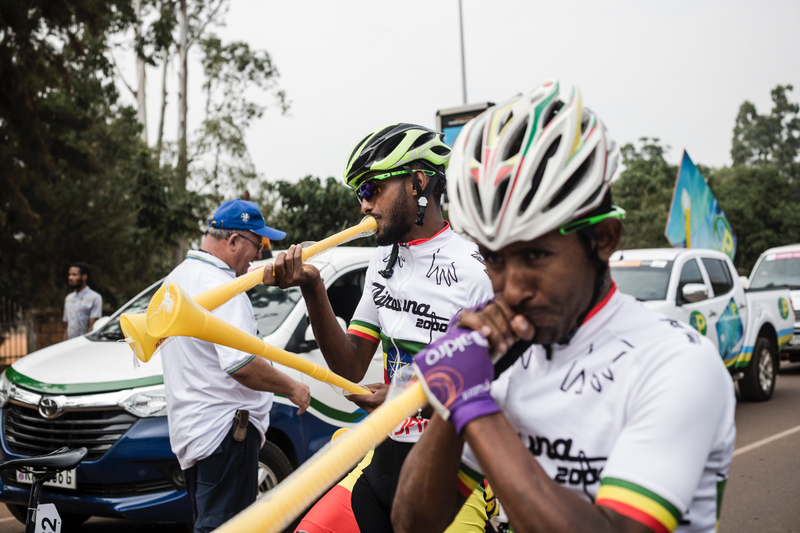 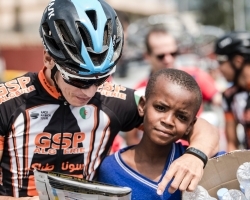 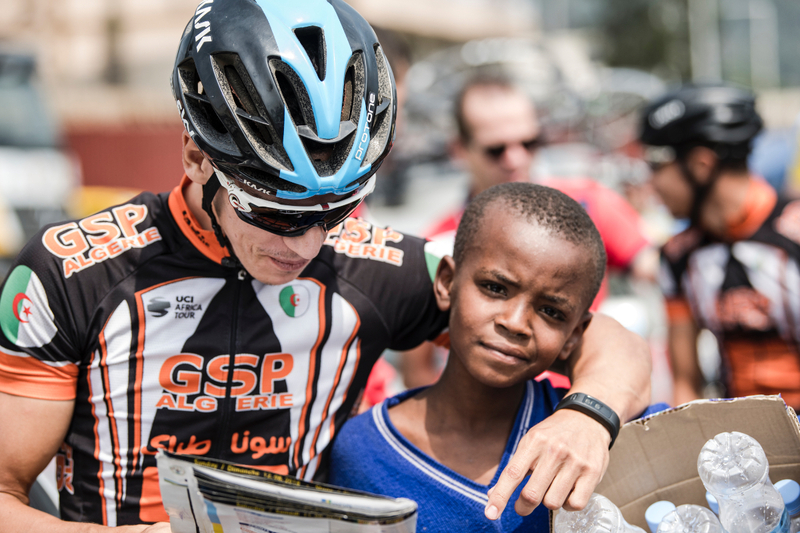 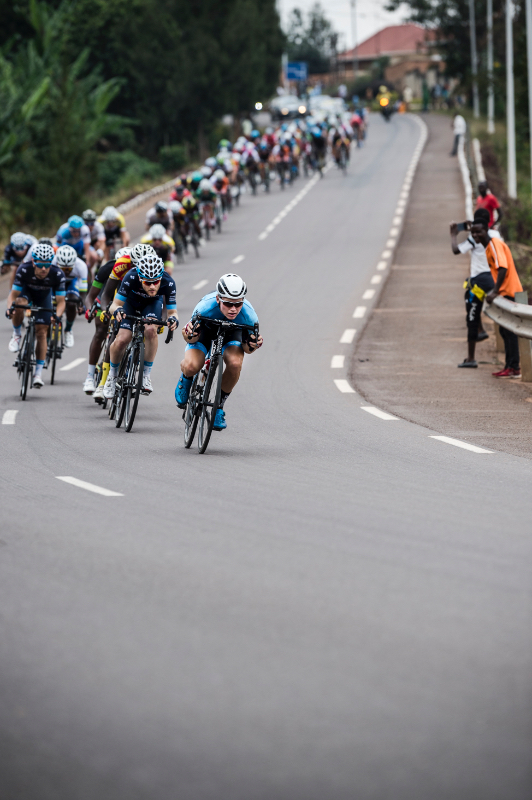 Most of the Rwandan riders have not been born with a silver spoon in their mouth. 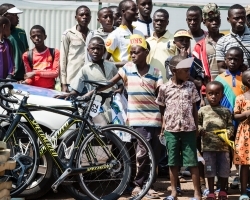 Many of them have worked as bicycle taxi riders before. 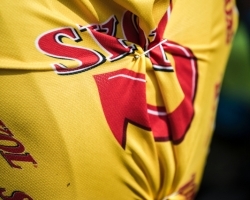 That’s a bare knuckle job! 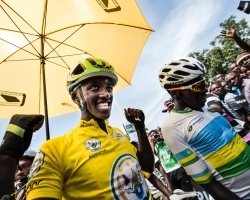 as known as the president. 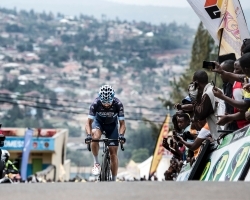 In this year Niyonshuti finishes the Tour 24th. 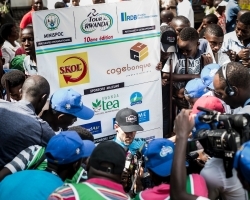 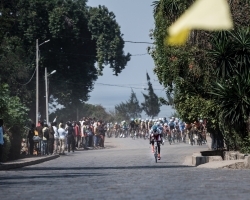 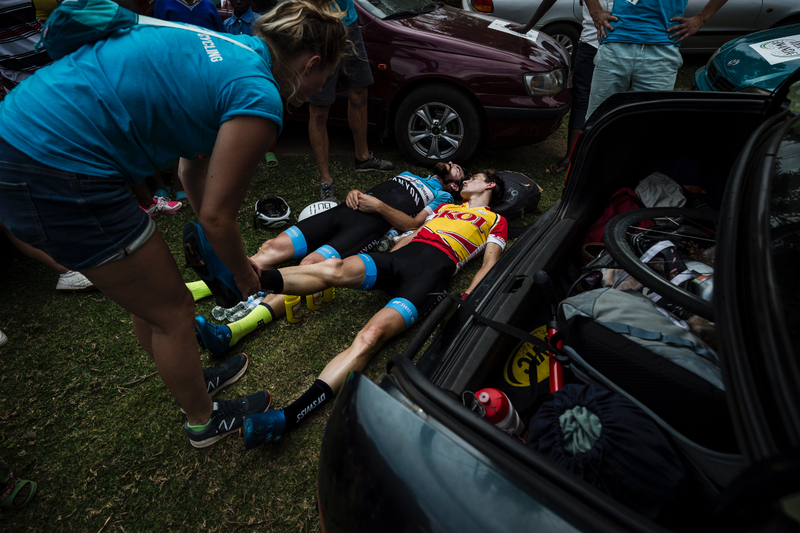 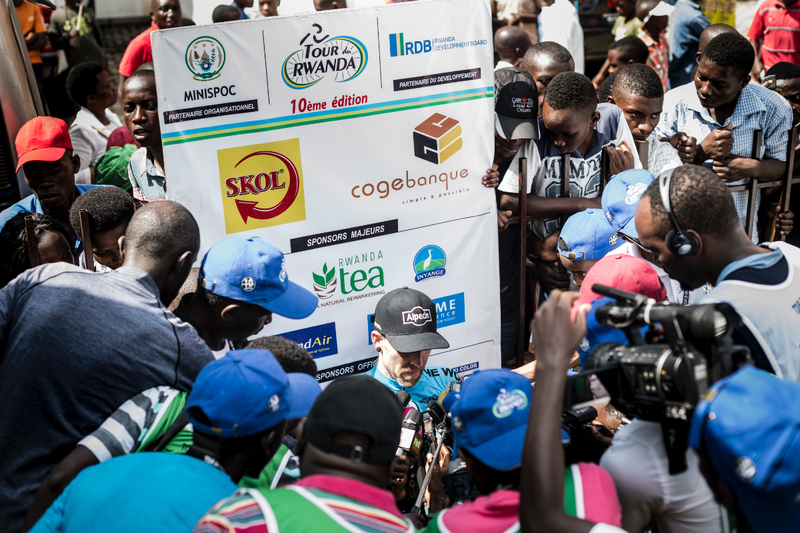 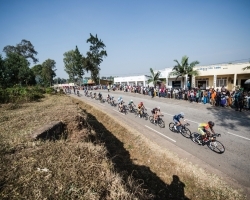 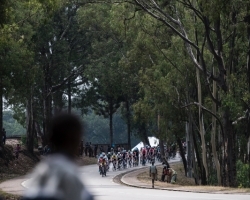 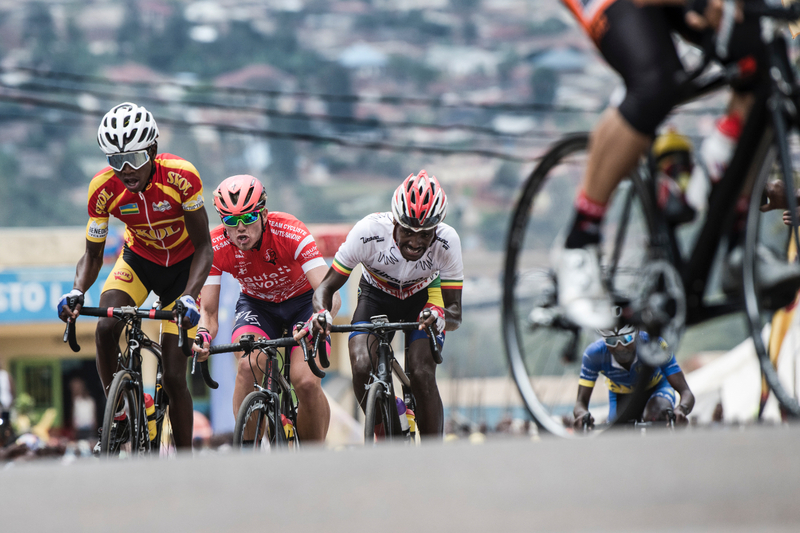 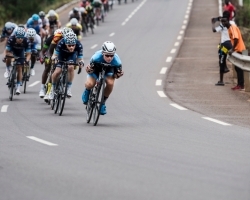 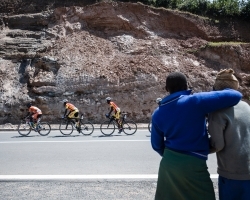 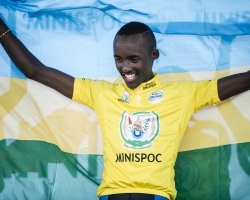 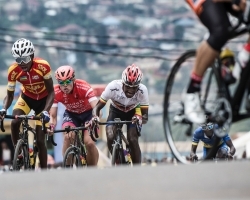 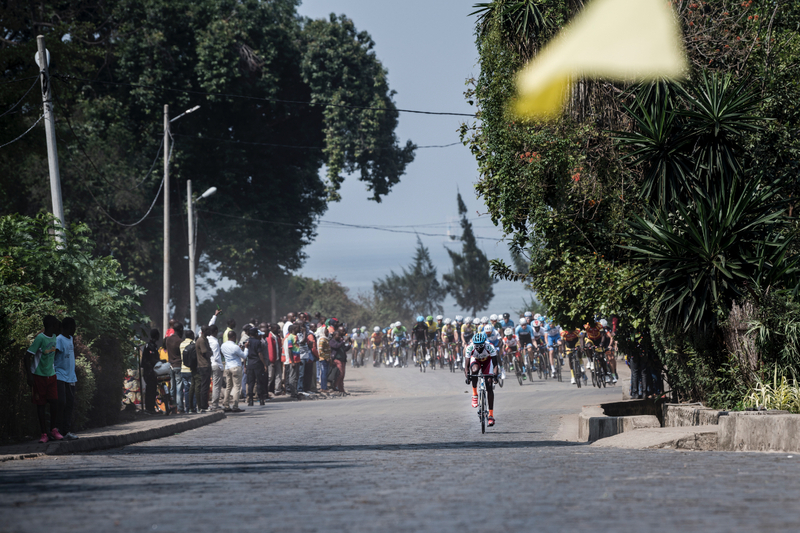 who had dominated the 2018 African Continental Road Championships in February. 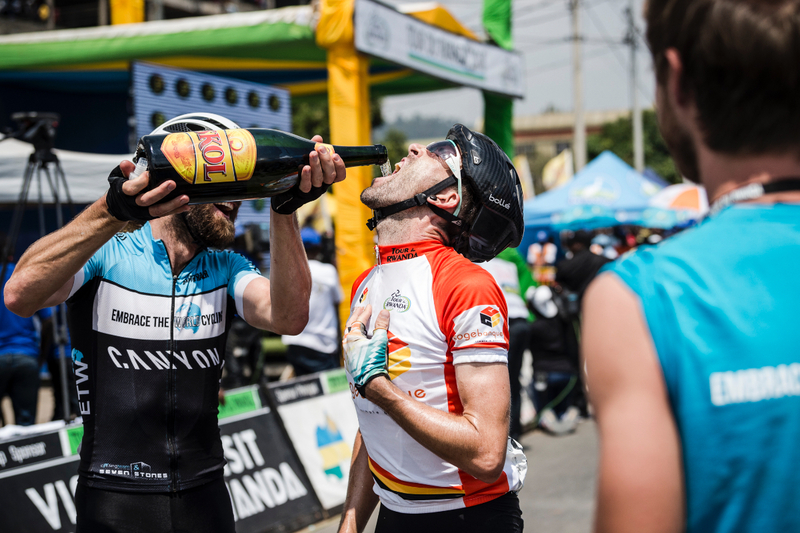 winners of their home tour, were also competing for a place on the podium. 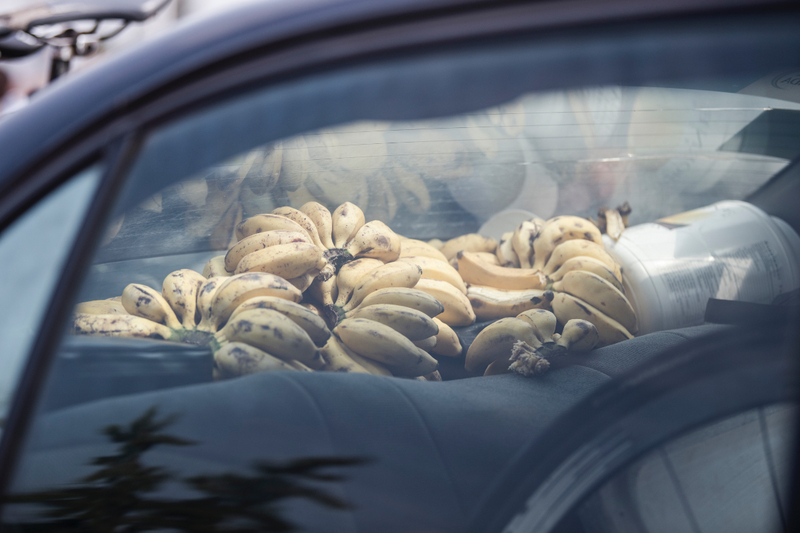 man who seems to lead a life he needs no vacation from. 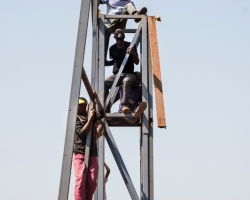 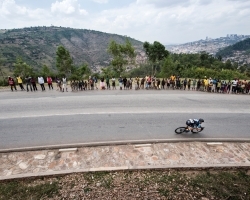 difference in height of 900 meters in less than the time of half a football match. 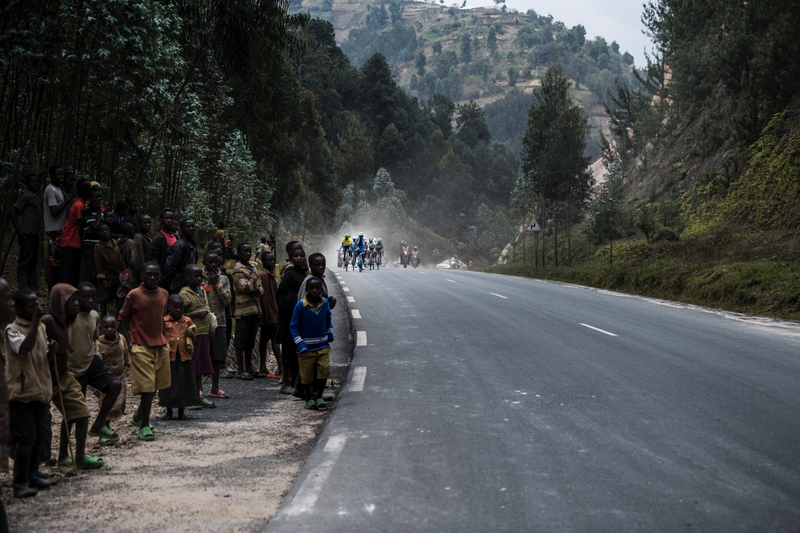 Muscles burning, Samuel Mugisha crosses the finish line of stage six in 20th place. 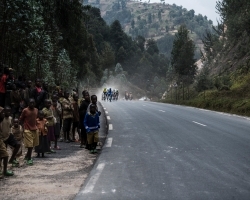 genocide. 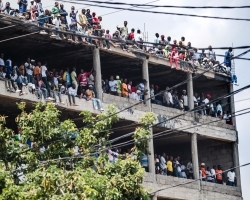 During those 100 days in 1994 almost a million people have lost their lives. 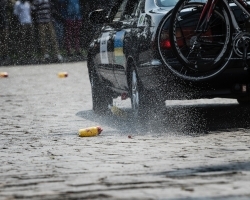 Or more precisely: they had been slaughtered. 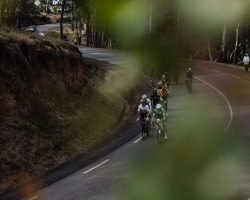 The seven year old Adrien survived. 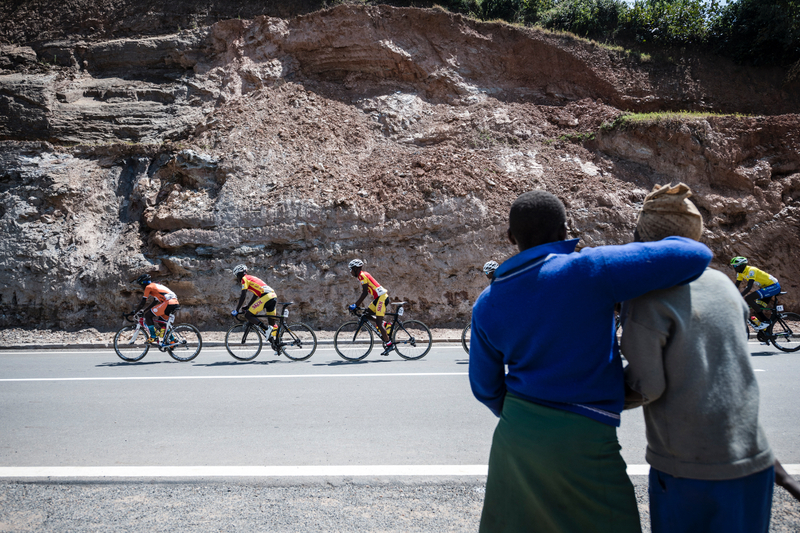 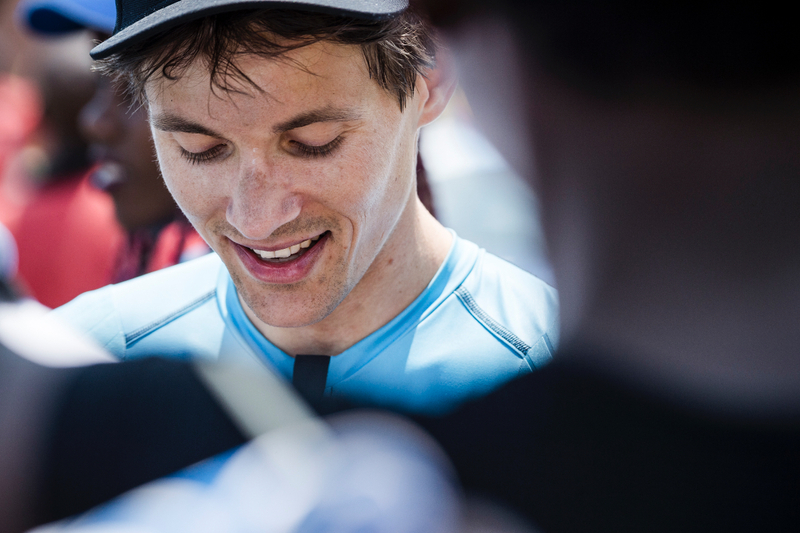 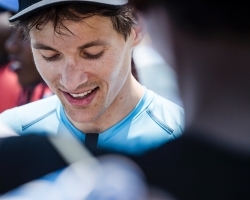 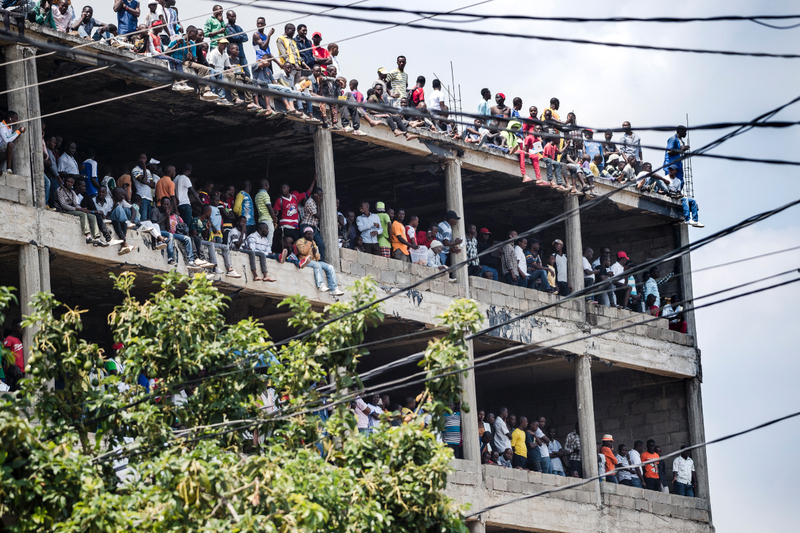 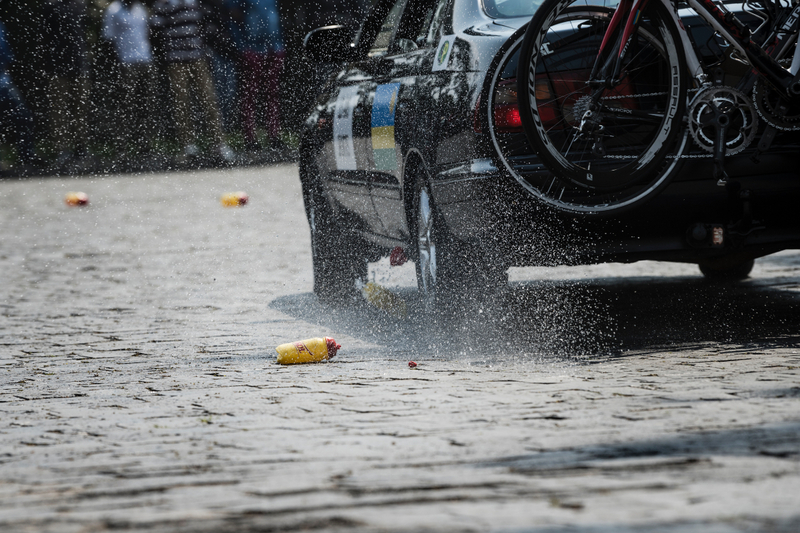 then and there: “The moment I saw those cyclists was the moment my life changed”. 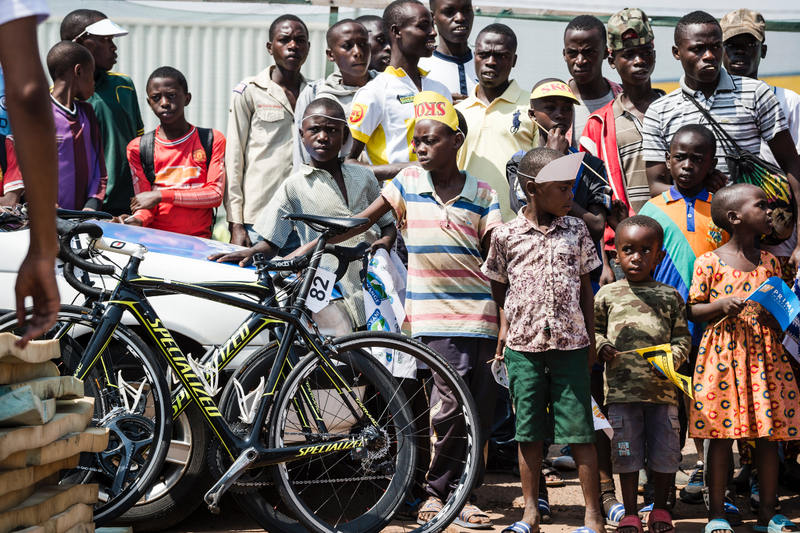 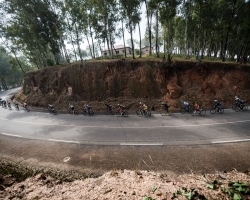 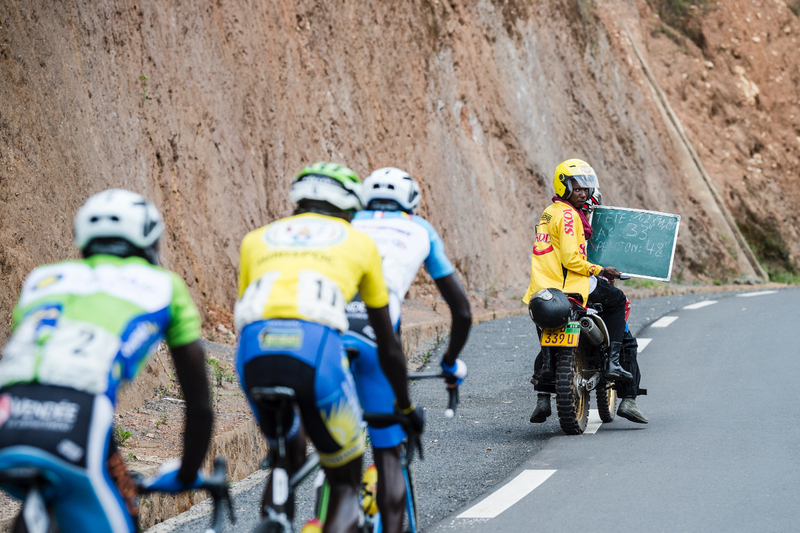 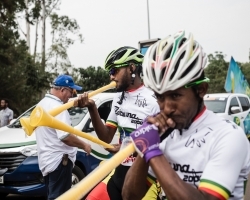 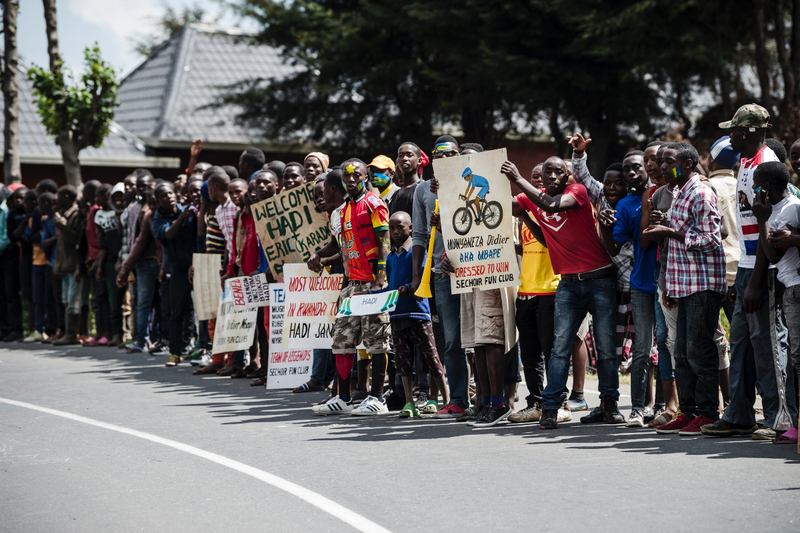 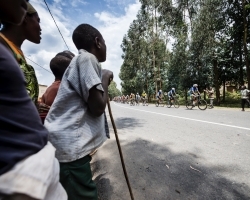 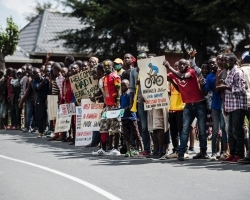 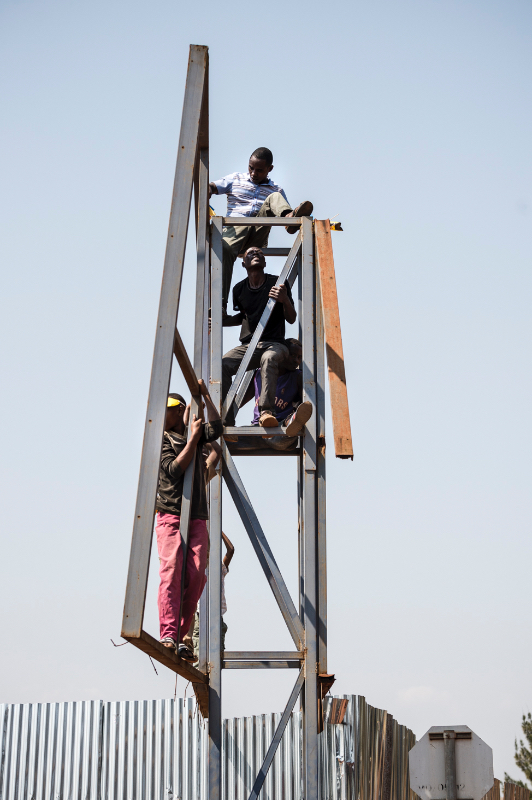 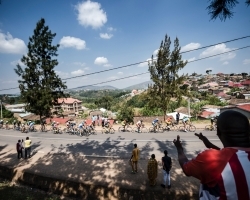 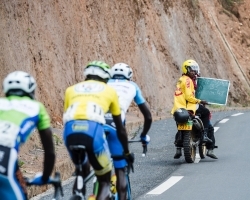 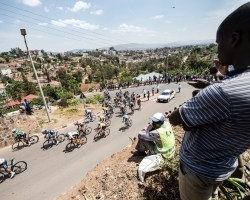 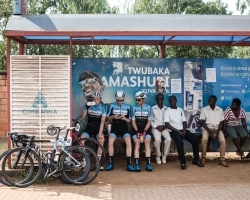 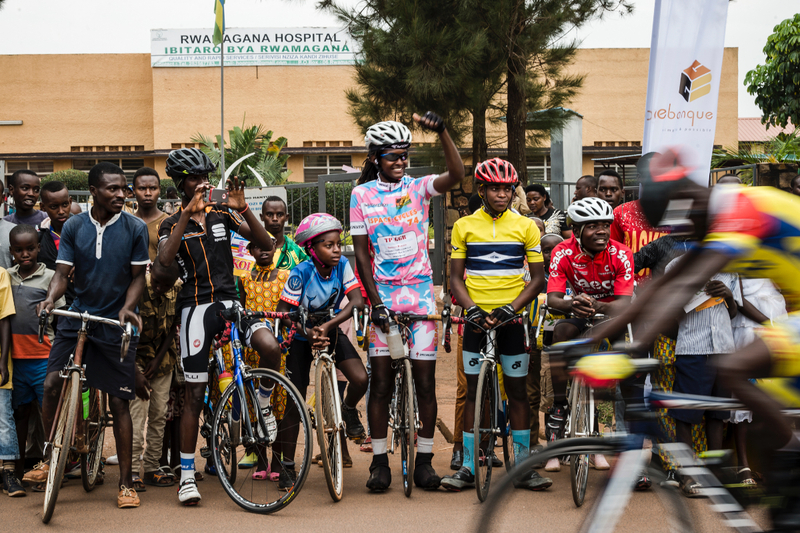 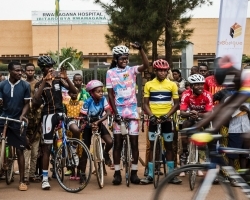 new era for the Rwandan cycling flagship race in 2019. 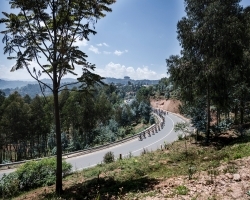 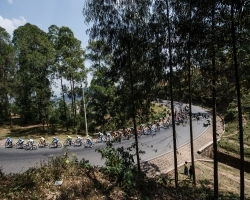 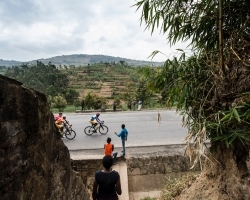 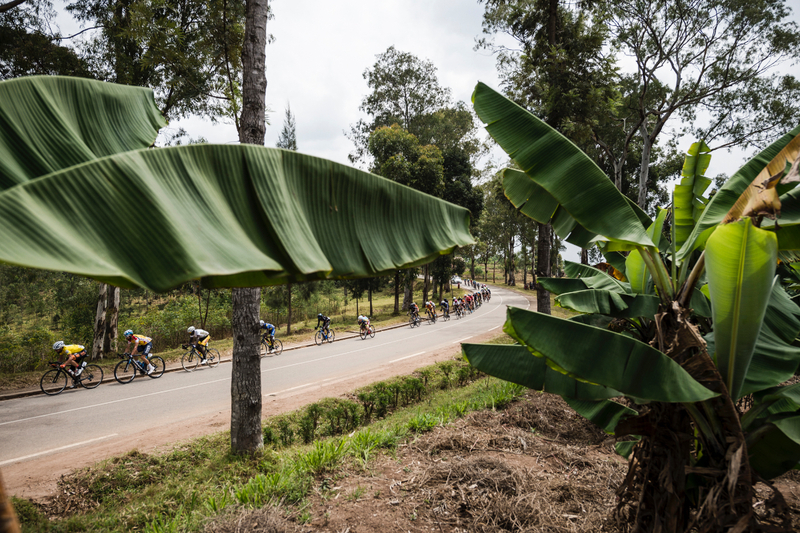 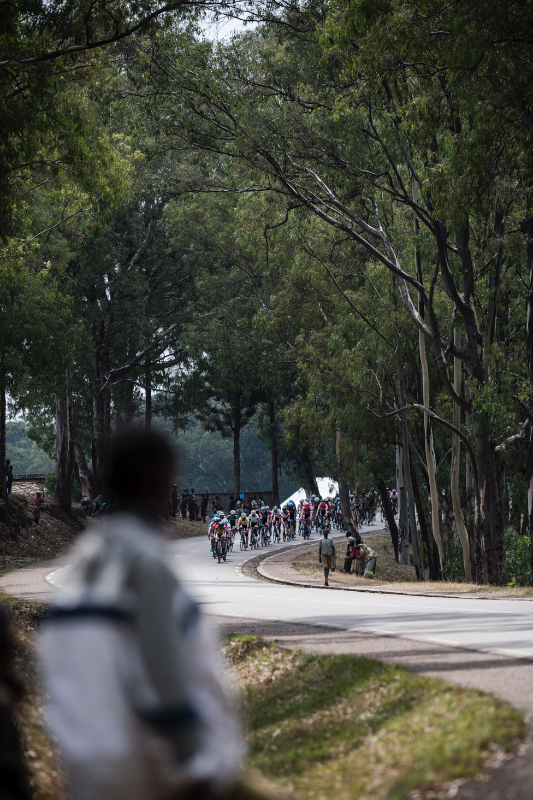 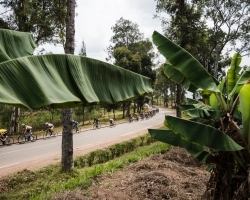 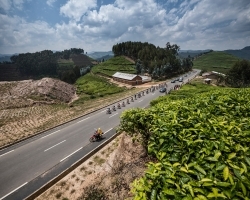 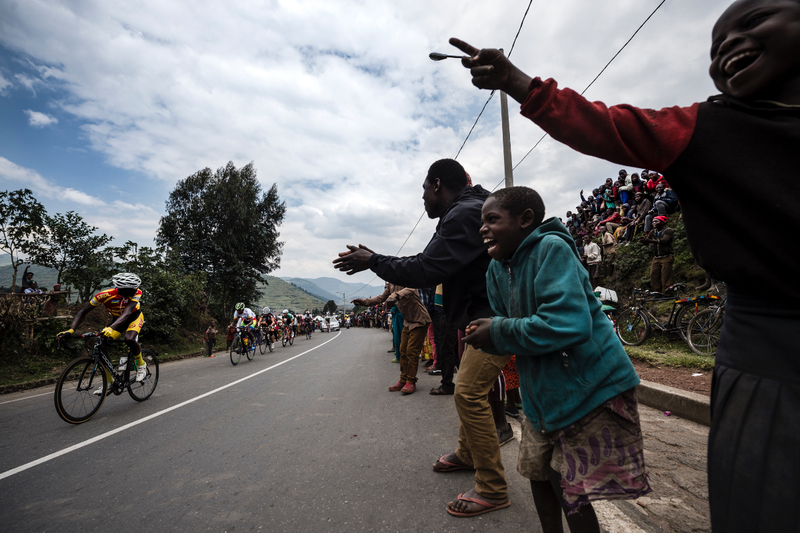 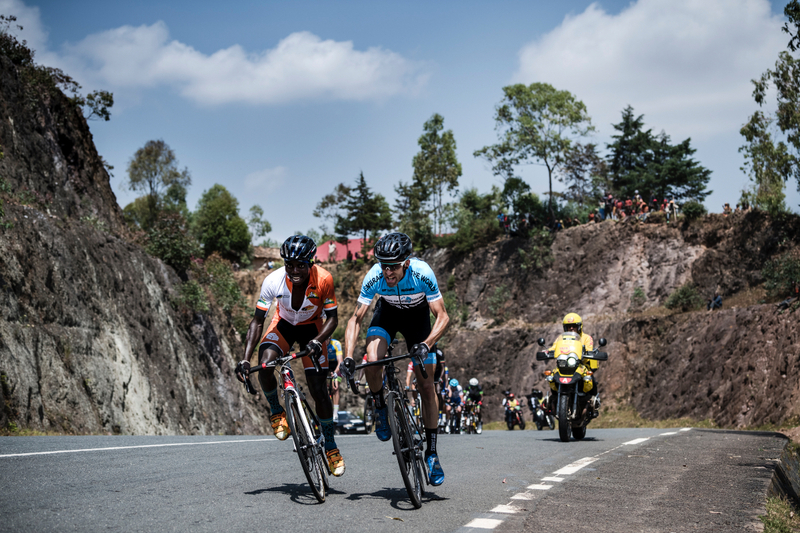 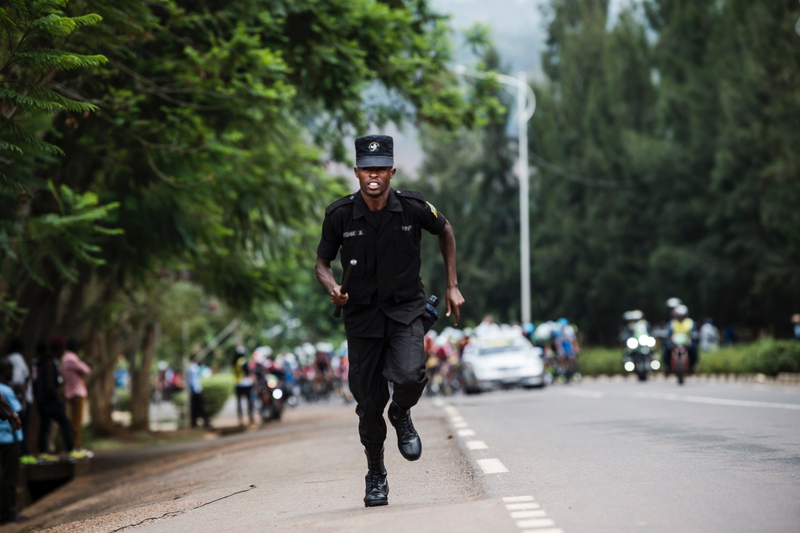 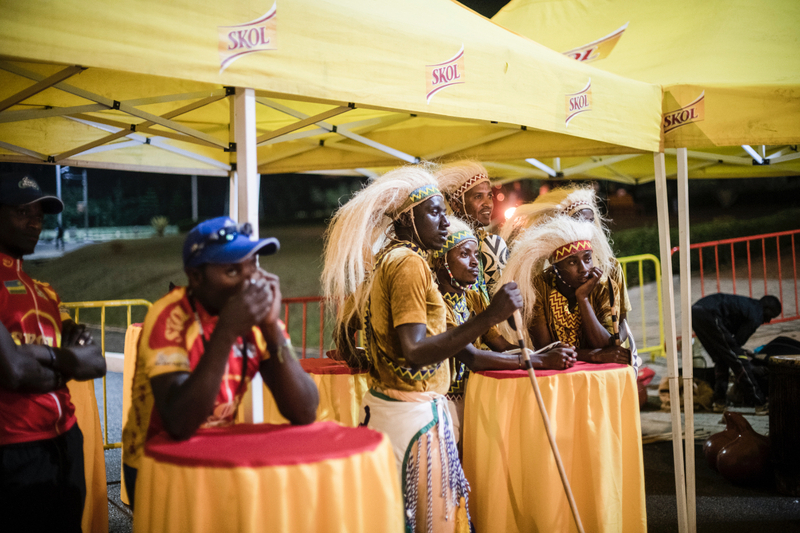 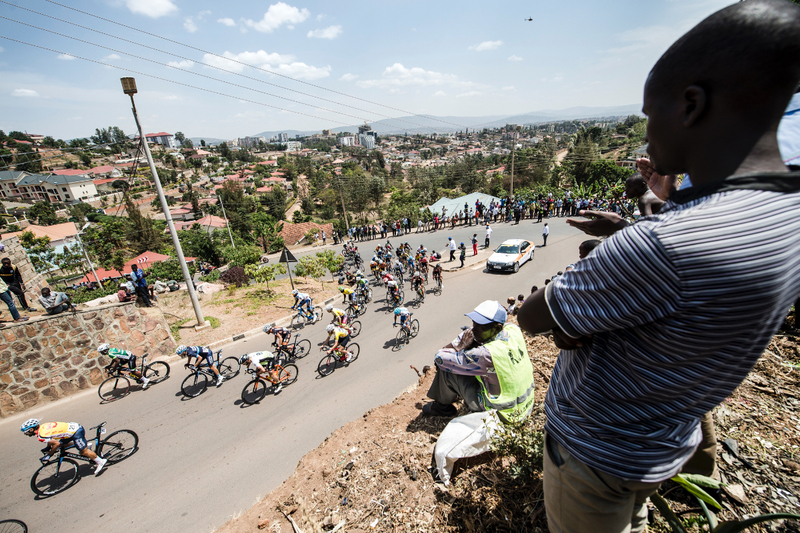 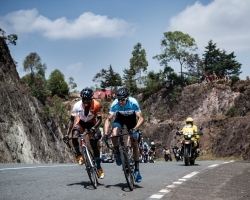 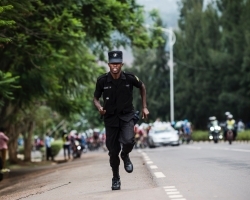 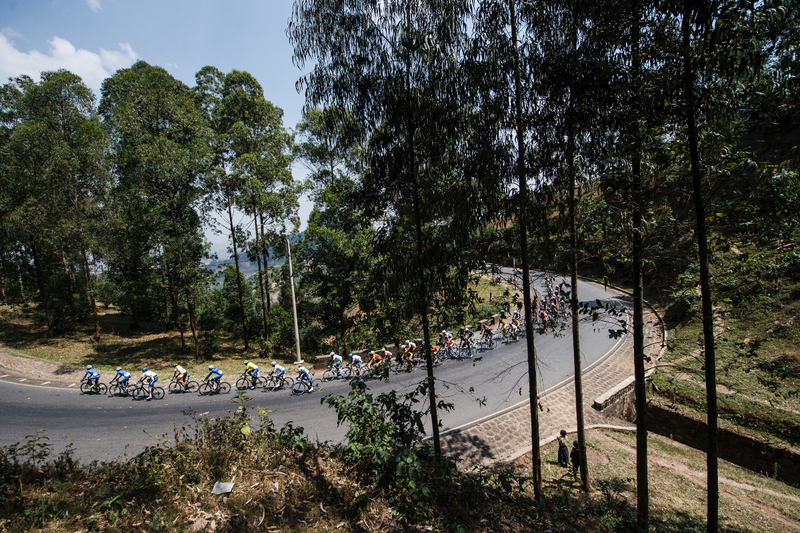 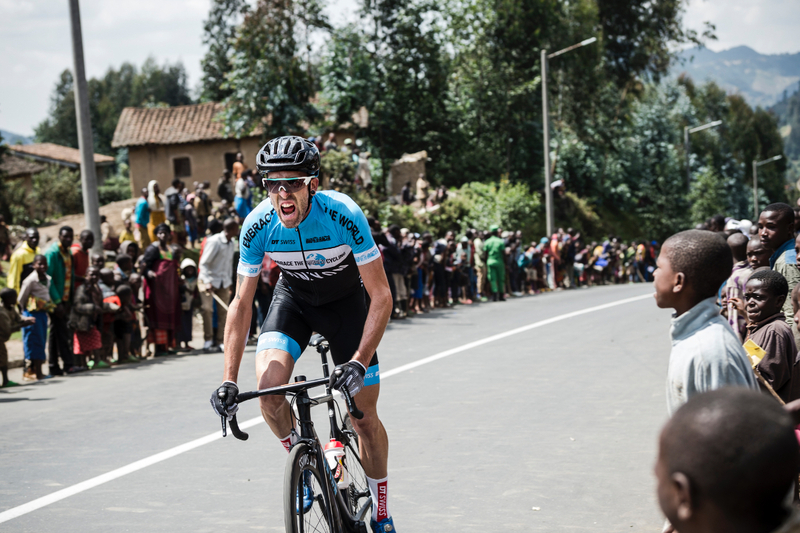 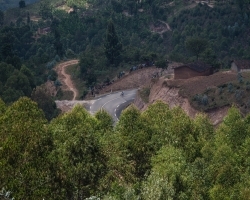 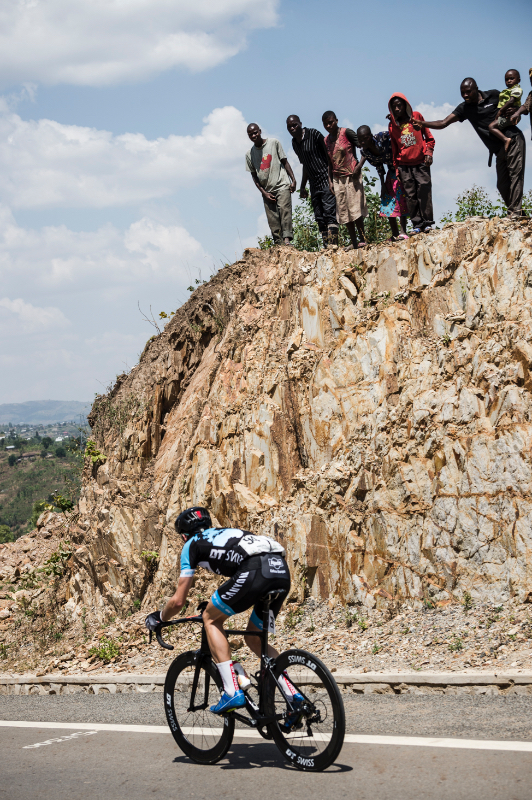 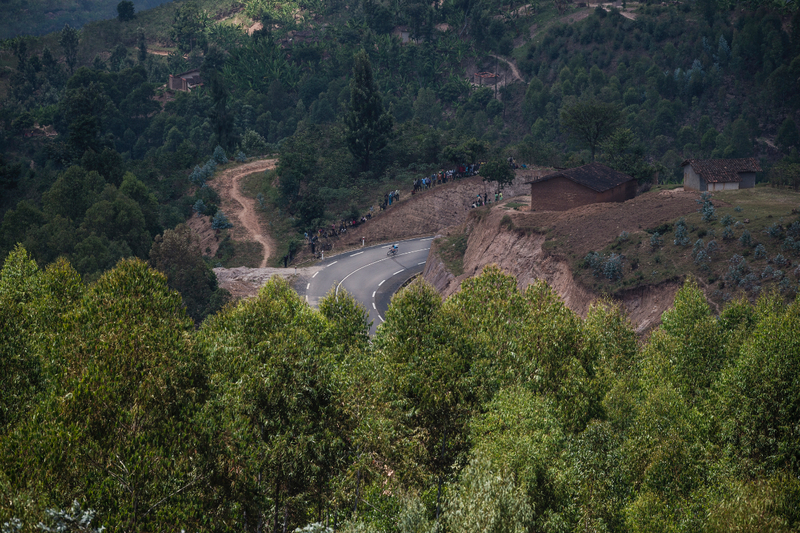 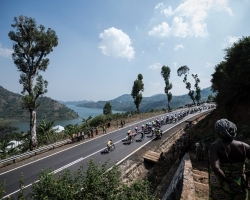 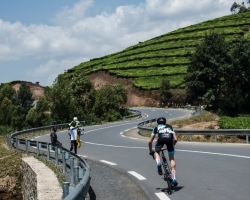 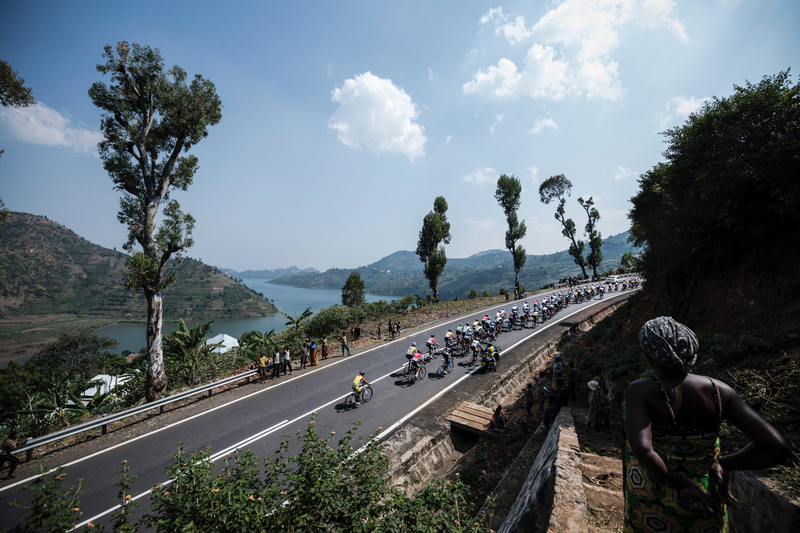 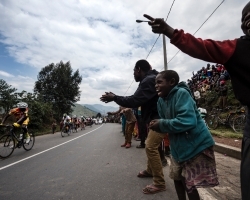 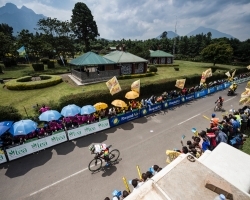 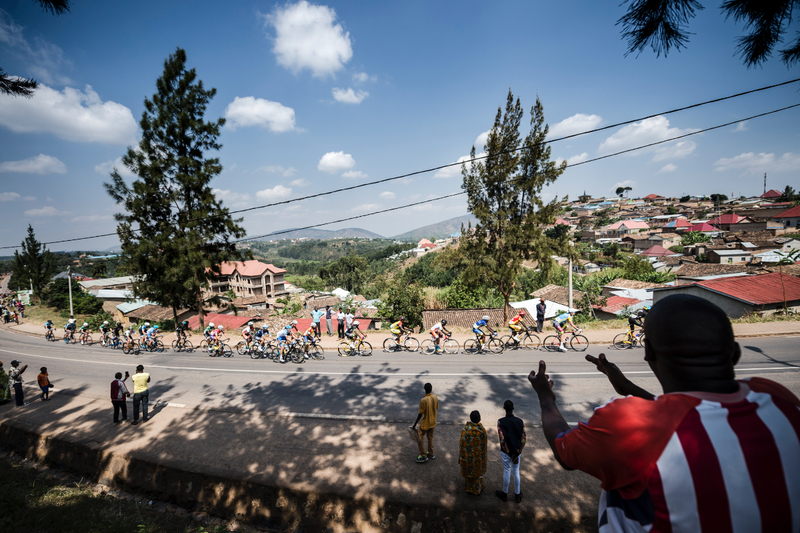 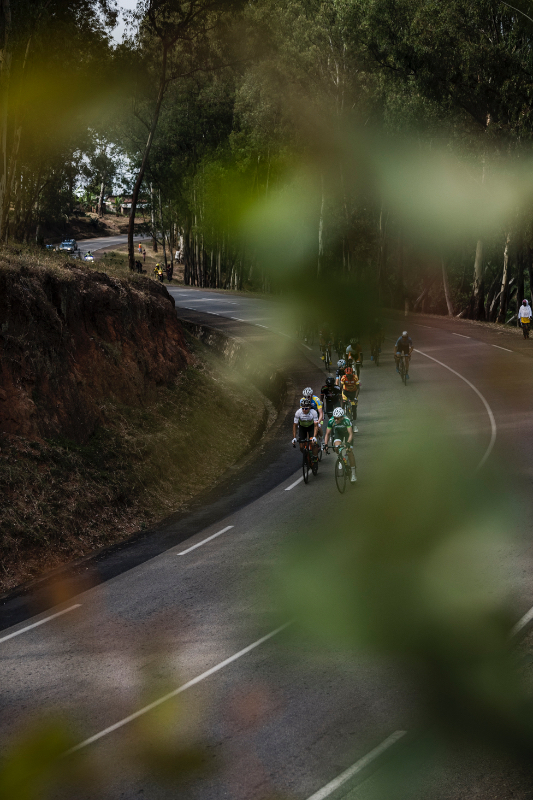 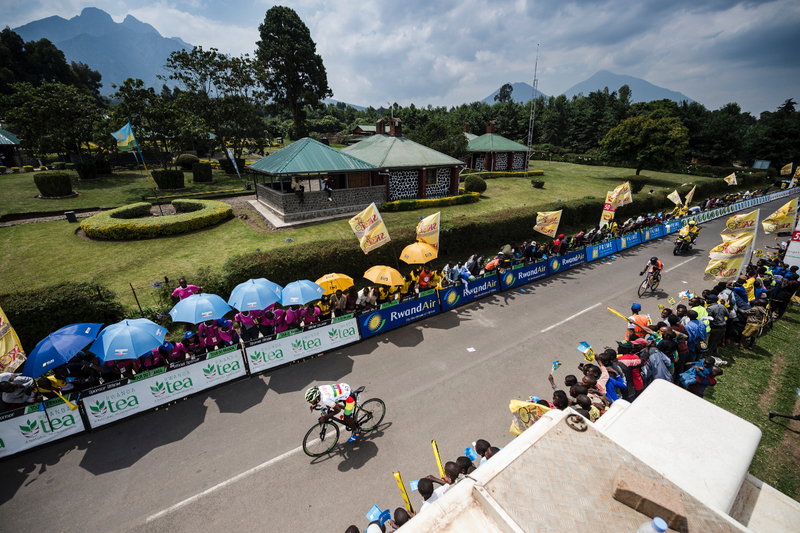 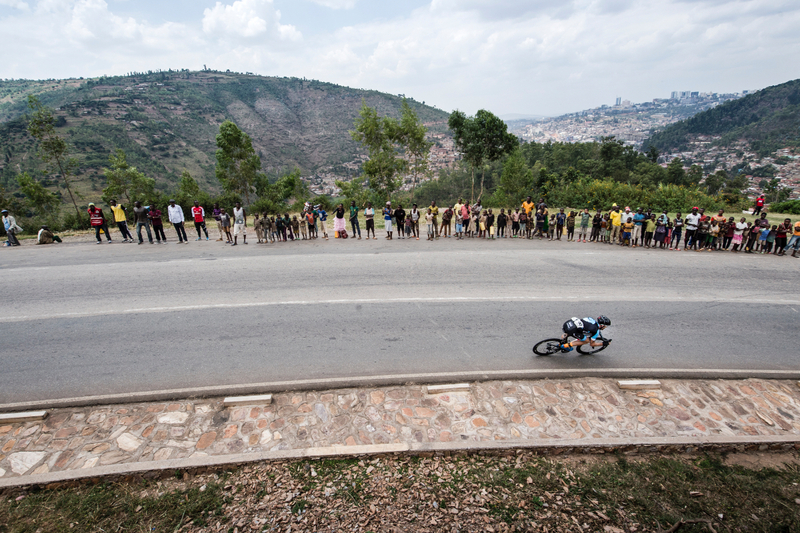 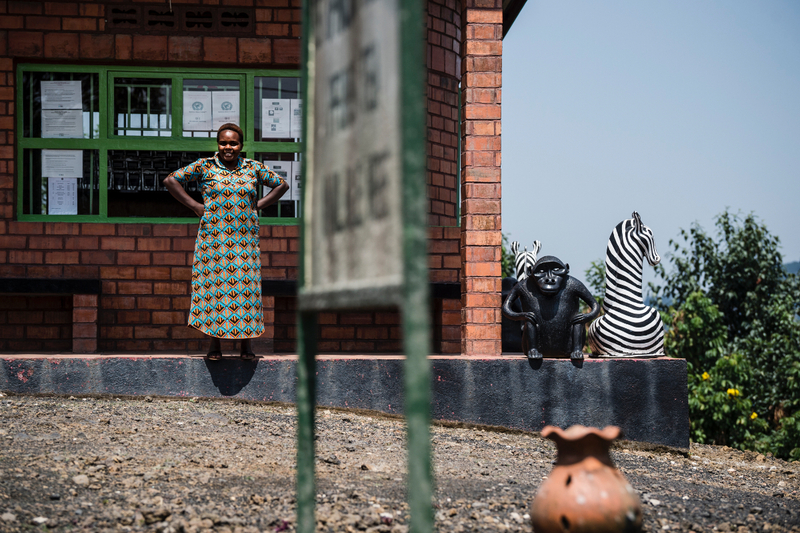 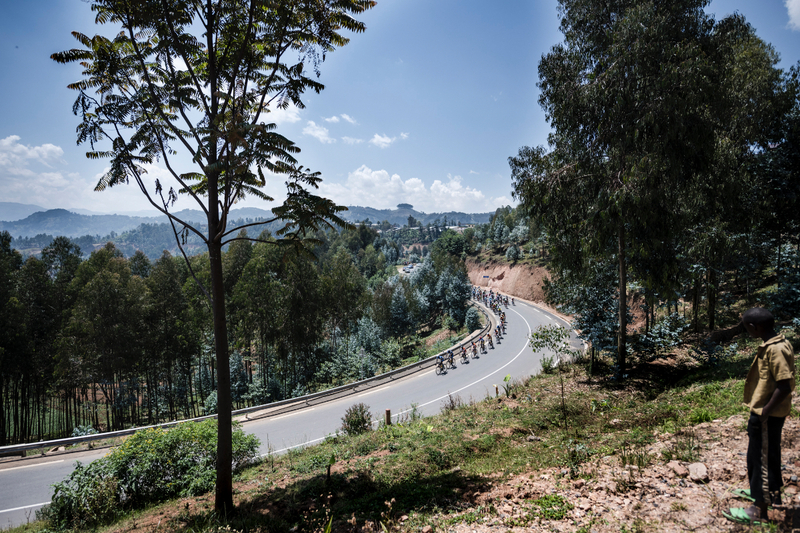 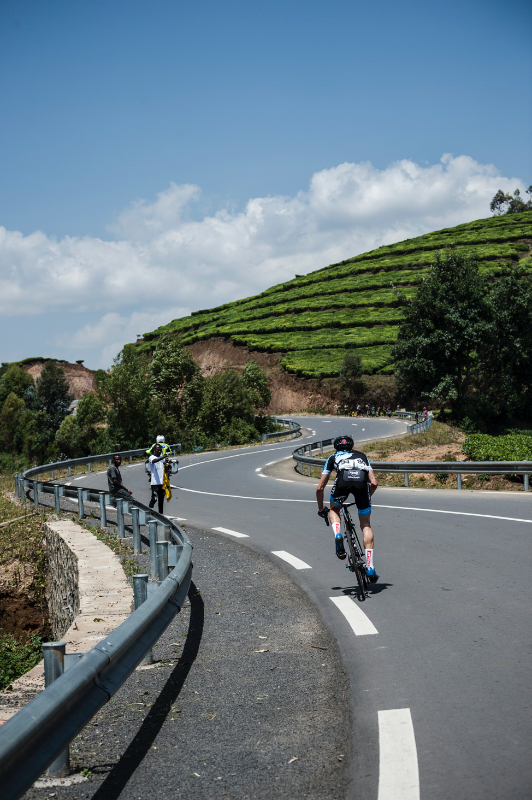 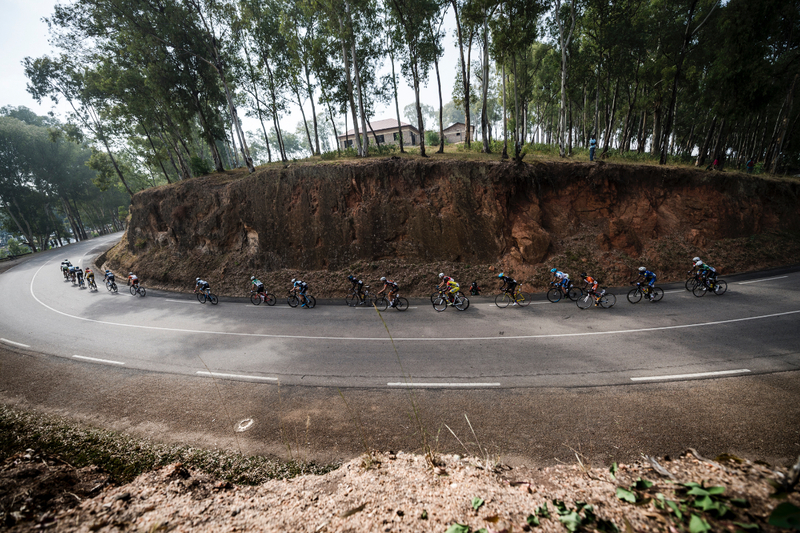 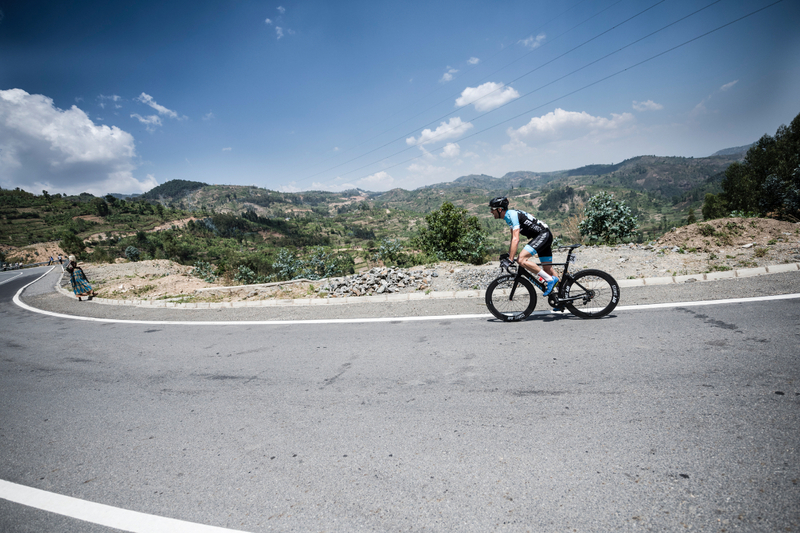 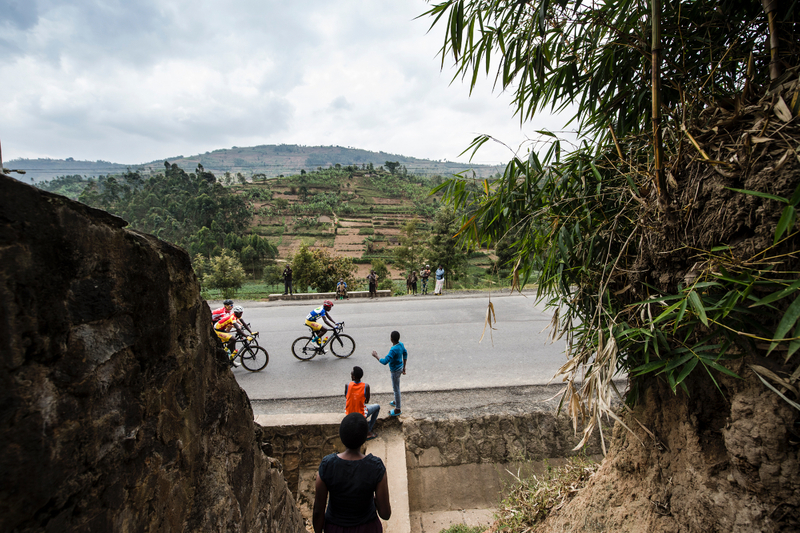 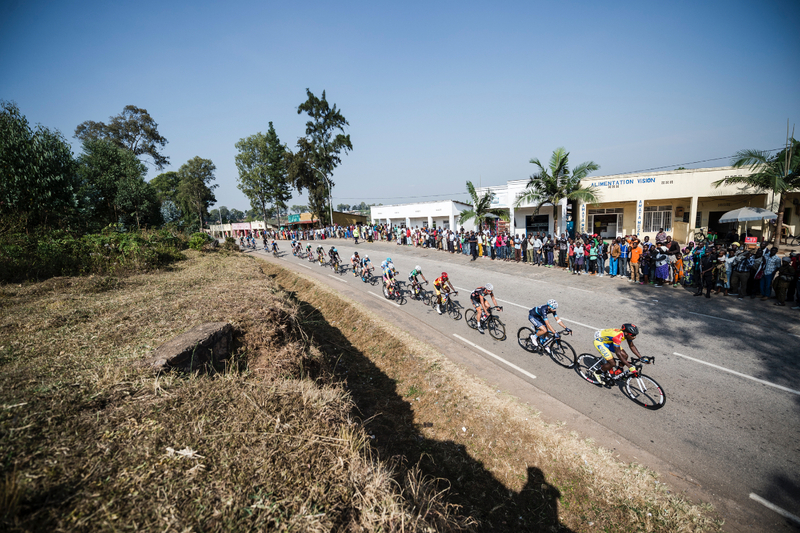 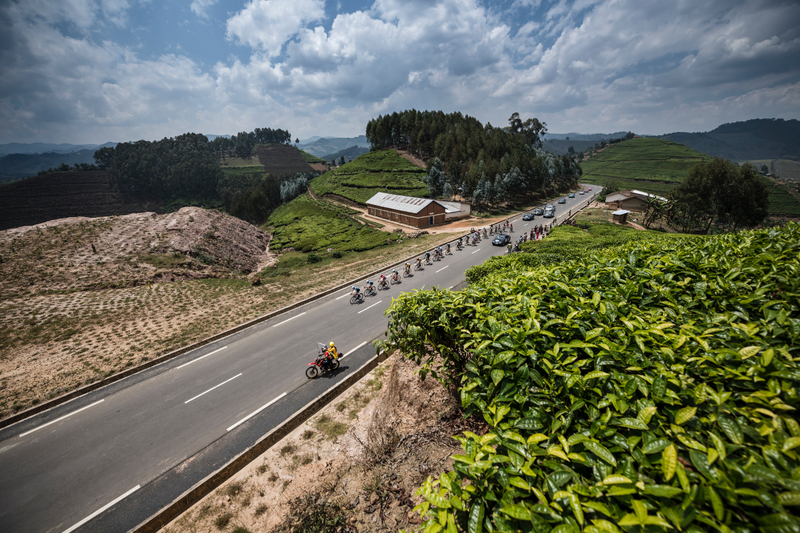 Back to the 2018 edition, the seventh stage from Musanze to Kigali packs a punch. 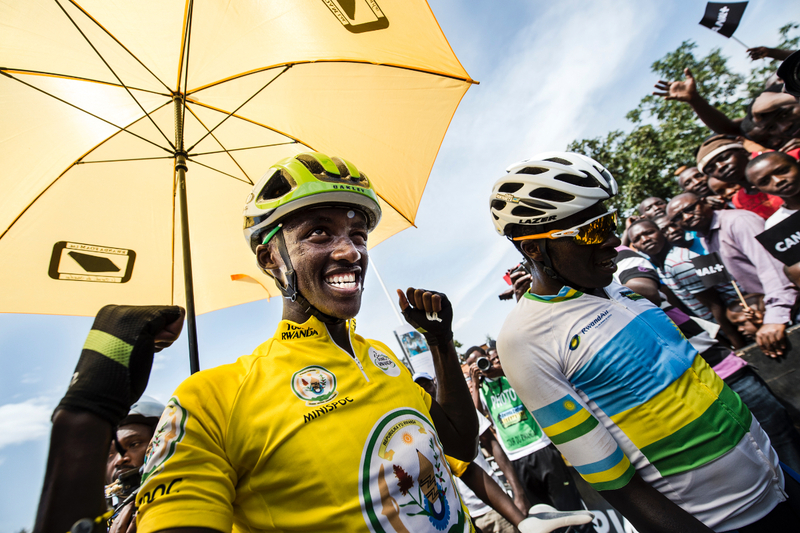 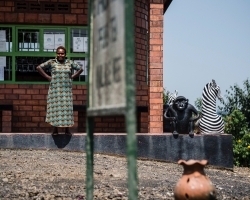 Mugisha tries to pedal through the pain, more determined than ever. 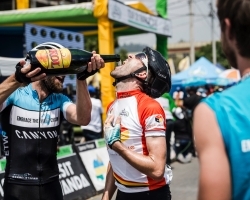 know which chain lube smells best but also which one is the best. 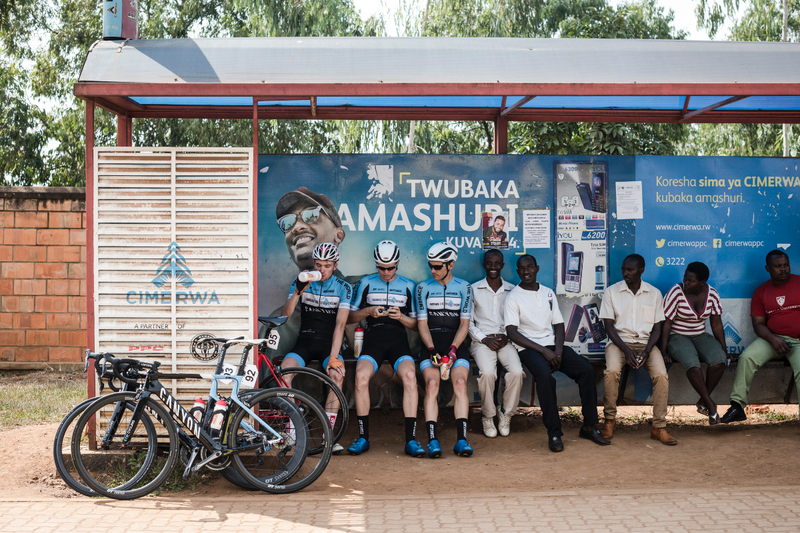 omelets, beans or cassava Tibwitta is still fiddling about the bikes. 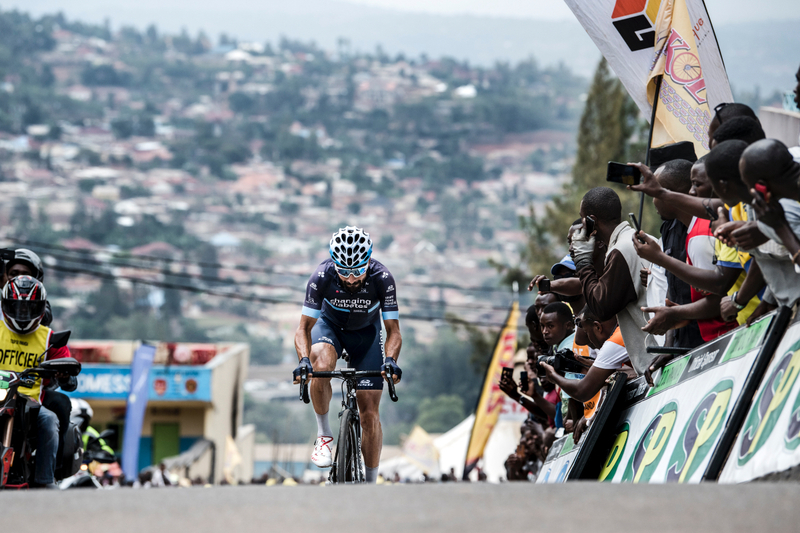 Then his mind was wandering to tomorrow’s last stage. 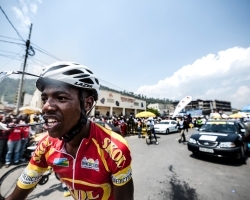 couple of days ago the South African was robbed and held at gunpoint after training. 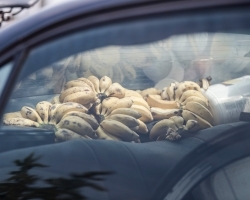 tragic event in his life. 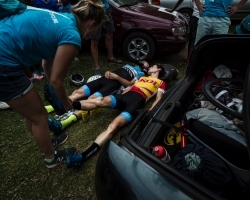 was not less than hell. 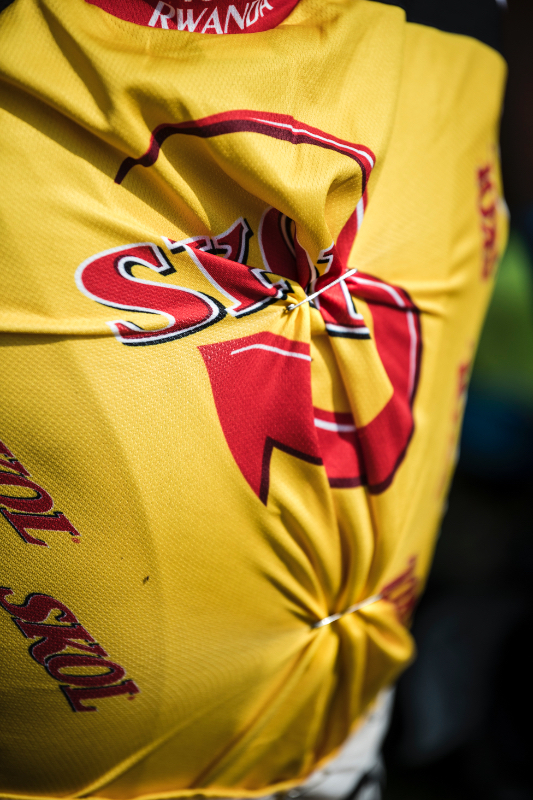 And it is still haunting him. 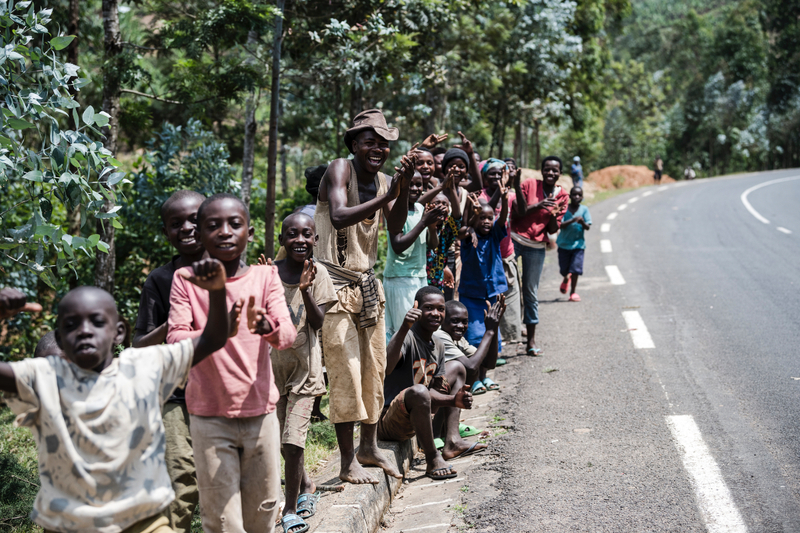 wearing flip-flops do what matters most for them. 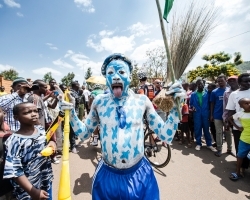 They play football. 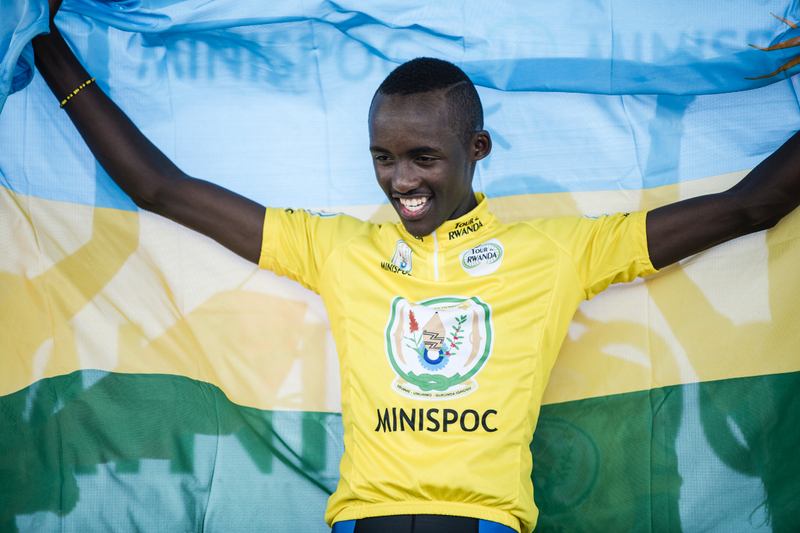 Again at last.